Batman: Gotham Knight is a direct-to-DVD animated film in six segments, each directed by a different East Asian filmmaker. The animation quality, both in terms of character and environment detail, exceeds that of the animation found in all the Batman: The Animated Series, Batman: Mask of the Phantasm, and all the other Batman animated films. The fore and backgrounds aren't after thoughts; they have as much care put into them as the animated characters, an extreme rarity in American animation. For the most part, there is continuity between each segment, though some of the connective tissue is minute. 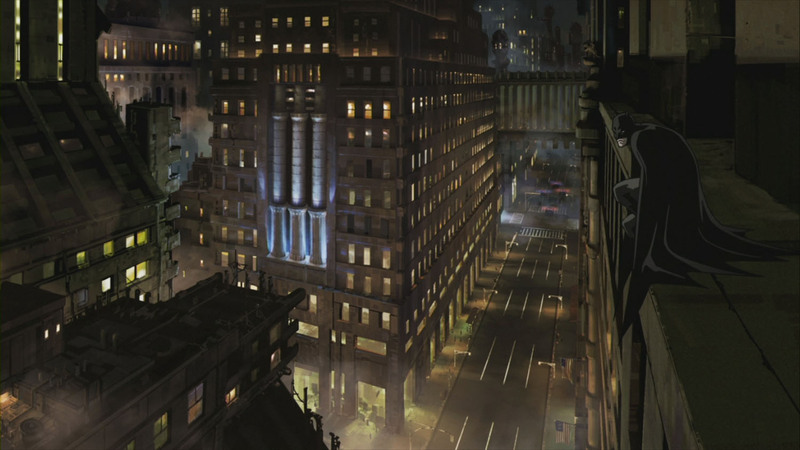 Most of the segments revolve around growing animosity and turf war between the Russian mob and the Italian mob in Gotham City. “Have I Got a Story for You", directed by Shoijiro Nishimi, written by Josh Olson, and produced by Studio 4C, is more of a stand-alone segment, without any visible connection with the other segments. The main purpose of this segment seems to have been to show how different people can be looking at the same thing, in this case the Batman (Kevin Conroy), yet see different interpretations of it. 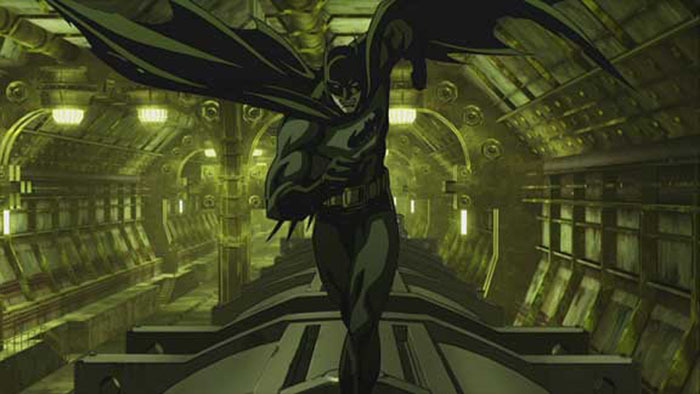 Three of the four characters in “Have I Got a Story for You” see a different aspect of Batman: his ability to fly, his quick movements, and his near invulnerability. These aspects are represented beautifully with the different versions of Batman brought to life in this story. “Crossfire,” directed by Futoshi Higashide, written by Greg Rucka, and produced by Production I.G, is about the Gotham City Police's Major Crimes Unit, showing what's happened to The Narrows and the turf war between the Russians and the Italians. The most interesting element of this segment is that the viewer gets to know two of James Gordon's (Jim Meskimen) hand-picked detectives and some solid action sequences. “Field Test,” directed by Hiroshi Morioka, written by Jordan Goldberg, and produced by Bee Train, houses a curious invention by Wayne Industries, in addition to the presence of Lucius Fox (Kevin Michael Richardson) and his clever sense of humor. The Batman presented in this segment reminded me of Azrael's Batman and his system-generated Batsuit. We are also given a glimpse of Batman's selfless commitment to preserve life while in the pursuit of justice. “In Darkness Dwells,” directed by Yasuhiro Aoki, written by David S. Goyer, and produced by Madhouse, deals with Waylon Jones a.k.a. Killer Croc and Jonathan Crane a.k.a. The Scarecrow (Corey Burton). It is an action-packed segment. “Working Through Pain,” directed by Toshiyuki Kubooka, written by Brian Azzarello, and produced by Studio 4°C, showcases the pain aversion techniques Bruce Wayne learned in India. At first, I thought this was the weakest segment, but after seeing it multiple times I realize it is actually one of the strongest, having the most to say about what makes Batman tick. Batman: Gotham Knight isn't a great film simply because its individual segments are a tad too short. Just when you get into a segment, it ends – not that abruptly, but it does end. Gotham Knight would have been much stronger if it had been one continuous storyline instead of a compilation of several tenuously linked segments. 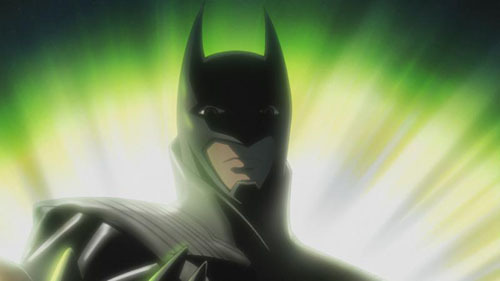 In sum, Batman: Gotham Knight is entertaining and its animation refreshing, but in terms of narrative, the film lacks cohesion – a quality that would have made it memorable. Batman: Gotham Knight (2008). Dir. : Shoijiro Nishimi, Futoshi Higashide, Hiroshi Morioka, Yasuhiro Aoki, Toshiyuki Kubooka, Jong-Sik Nam. Scr. : Brian Azzarello, Alan Burnett, Jordan Goldberg, David S. Goyer, Josh Olson, Greg Rucka; based on Bob Kane's character. Voices: Kevin Conroy, David McCallum, Gary Dourdan, Corey Burton, Jason Marsden, Jim Meskimen, Kevin Michael Richardson, George Newbern.